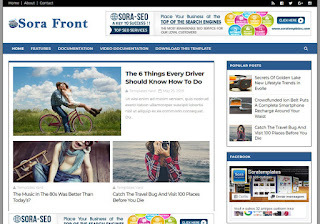 Sora Front Blogger Template is a all rounder as well as simple coded, HTML5 and CSS3 Blogspot theme. 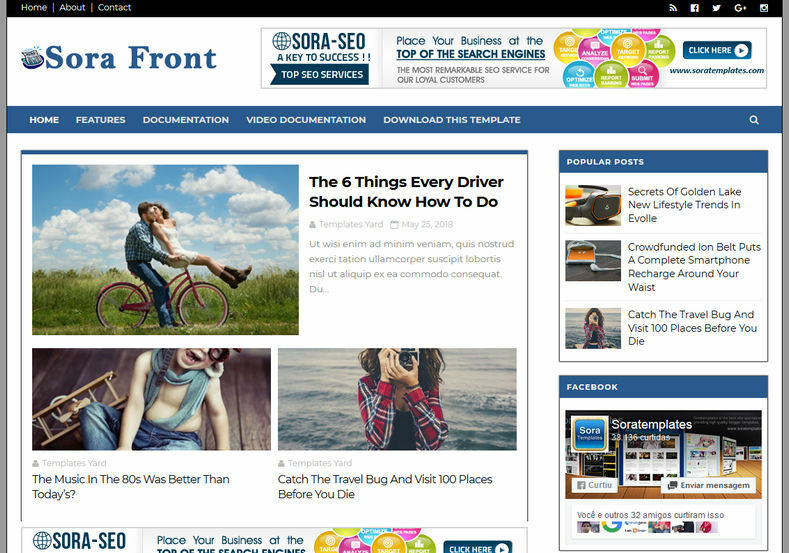 It has 2 column based layouts design. The theme is fast as well as its responsive design makes it 100% compatible and perfect with a vast variety of devices and screen resolutions. Sora Front is very simple and easy to customize through its widen array of different and simple options that are very easy to understand.